Several nutritional programs have been developed to make it easy for you to provide your horse with the proper nutritional aids for specific conditions. These programs are packaged in convenient-to-carry boxes and include easy-to-follow day-by-day feeding guidelines. 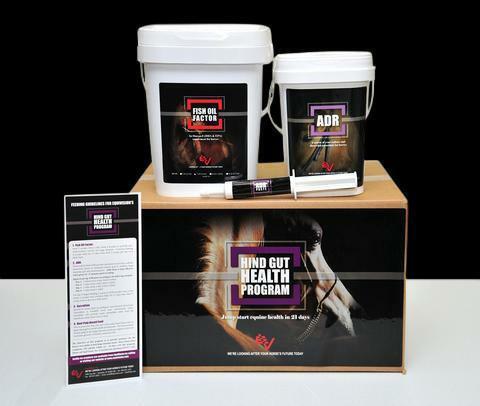 Each program contains two or more products per box designed to achieve very specific goals for your horse’s overall health and performance. The products that are contained in the various programs cannot be combined into one single product due to the fact that many of them are highly reactive and will lose their effectiveness over time when blended with other products. The high reactivity of these products is one of the very things that makes them so effective. If your horse has a nutritional need that you do not see a program for on the list below, please contact us and we will be happy to put a custom program together to address the specific needs of your horse. The fastest and most effective way to improve your horse’s intestinal health and function. 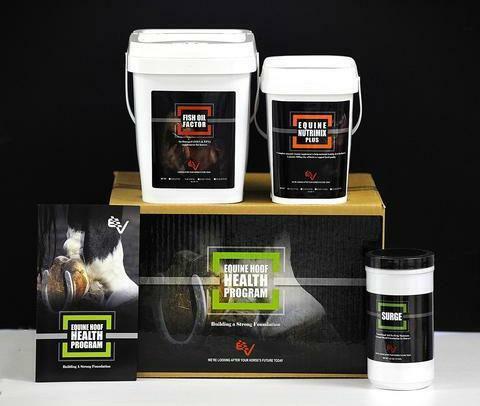 The Hind Gut Health Program comes conveniently pre-packaged in an easy to carry box with a daily checklist to help you feed or dose the correct product in the correct amount to achieve optimal effectiveness. The Hind Gut Health Program includes ADR Paste, ADR Powder and Fish Oil Factor. Note: Many horses will exhibit gastric ulcers and intestinal inflammation concurrently. Medications for gastric and/or intestinal ulcers such as Gastrogard™, misoprostol and sucralfate can be used in combination with the Hind Gut Health Program. Horses that show improvement while receiving gastric ulcer medication but revert quickly when gastric ulcer medication is stopped usually have large intestine inflammation and should receive the Hind Gut Health Program. The Hoof Health Program includes Nutrimix Plus, Fish Oil Factor and Surge. 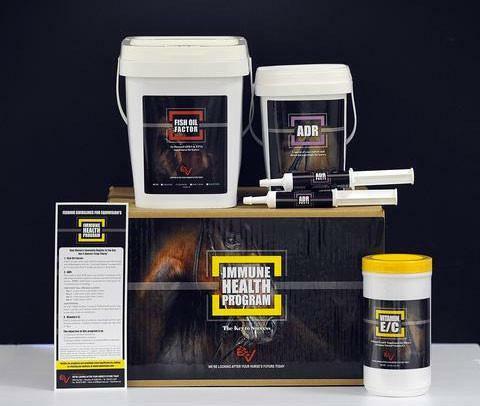 A daily program to help your horse re-establish normal function of his or her immune system. Your horse’s immune system can either be underactive, overactive or normal. Many horses that develop skin problems related to allergens such as fungus, insect bites, foodborne allergies and other environmental agents do so as a result of an immune system that is not functioning correctly. Approximately 60% - 70% of your horse’s immune system is found in the intestine, therefore, supporting the immune function of intestinal cells is the foundation of supporting normal immune function throughout your horse’s body. The Immune Health Program includes ADR Paste, ADR Powder, Fish Oil Factor to support intestinal immunity and E/C to support cellular immunity. Travel Ready Program – COMING SOON! A short-term daily program conveniently boxed to help prepare your horse cope with the stress of transportation, showing, performance or sales. Many horses display colic symptoms after being transported, especially when the trip is long and under hot and humid conditions, due to mild dehydration and emotional stress. Many emotionally sensitive horses will also exhibit poor performance or even colic at shows or sales due to intestinal distress and/or inadequate hydration or food intake. Travel Ready Program includes TurboMag BCAA to support desired water intake and intestinal hydration, ADR to support the normal function of the digestive tract and maintain appetite and E/C to support normal cellular immunity and stress resistance. Bone Fractures, OCD’s, Neurological Conditions, Metabolic Syndrome, Tying Up, and Others (please contact us with the specific situation of your horse and we will help design a nutritional program to address it).